Join us in envisioning a community where every person, regardless of their background, has a voice and an opportunity to realize their full potential. 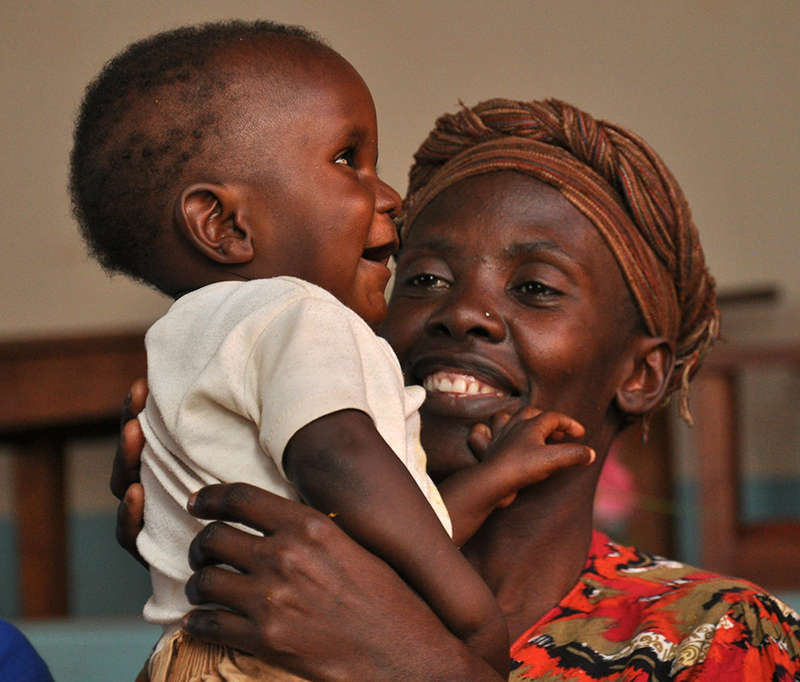 ‍Your support helps mothers and their young children access needed maternal and child health services and immunizations. For nearly two decades, the community of Kibera has worked with CFK to improve the health and development of Kiberans of all ages. We are successful because of mutual trust and support. This June, we are working to raise funds in support of our mission to develop local leaders, catalyze positive change, and alleviate poverty in Kibera. Join us in envisioning a community where every person, regardless of their background, has a voice and an opportunity to realize their full potential. Read on to learn the top six reasons why you should support Carolina for Kibera today. 1. All people deserve high quality, low cost healthcare. We provide high quality, comprehensive medical services to over 14,000 patients annually. Patients can find x-ray services, a pharmacy, ultrasound services, HIV/AIDS testing/counseling, cervical cancer screening, immunizations, and family planning counseling all at our Tabitha Medical Clinic. 2. All young children deserve to thrive. Every day we provide malnutrition treatment to dozens of children under age five, and we annually bring over 325 children back to full health. Treatment at our Lishe Bora Mtaani (Nutrition Center) consists of an eight-week feeding program alongside early childhood development and parent education. 3. Treatment and prevention together make a healthy community. We believe a dual focus on treatment and prevention is necessary to improve the health of a community, so many of our initiatives take place outside of the clinic. Our community health volunteers are empowered and trained volunteers who help provide in-home health support for over 8,500 households and group support for over 1,000 pregnant women and nursing mothers. 4. Strong girls make strong communities. Giving girls a safe space, both physical and emotional, in which to express themselves is crucial to helping them escape poverty and leverage economic opportunities. Our Binti Pamoja | Daughters United Core Program serves more than 3,000 girls ages 9-20 annually, and helps girls discover their personal leadership and build confidence. 5. Education is the foundation for future success. Education is a basic human right and is critical to long-term social change. Yet, it is one of the most underfunded development strategies. Last year, we provided scholarships for 90 teens to cover schools fees and graduate from high school. In addition, our Angaza education program assisted 100 out of schoolchildren to return to the classroom. 6. Everybody deserves to make a living. We are investing in economic and entrepreneurship initiatives to empower a generation of youth, especially girls. Last year, over 120 girls completed information technology courses at our Girls Training Center, which is the cornerstone of our technology initiative developing the whole girl: educating her mind, supporting her health, and helping her secure future success. For whatever reason you give, we thank you for supporting the youth and families living in Kibera. When you donate to CFK, you are investing in sustainability, strength, and scholarship.